Earlier this year I made a comic zine called GUNK. If you haven’t seen it, you can check it out HERE. 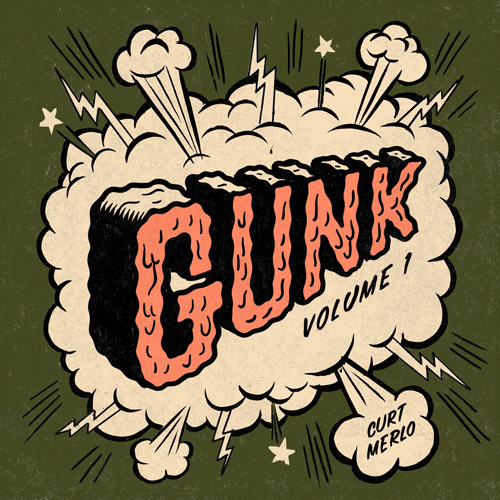 To the right is the cover for GUNK Volume 1. I am sure you have seen me post about this a million times. After some hard work, GUNK Volume 2 is well underway. 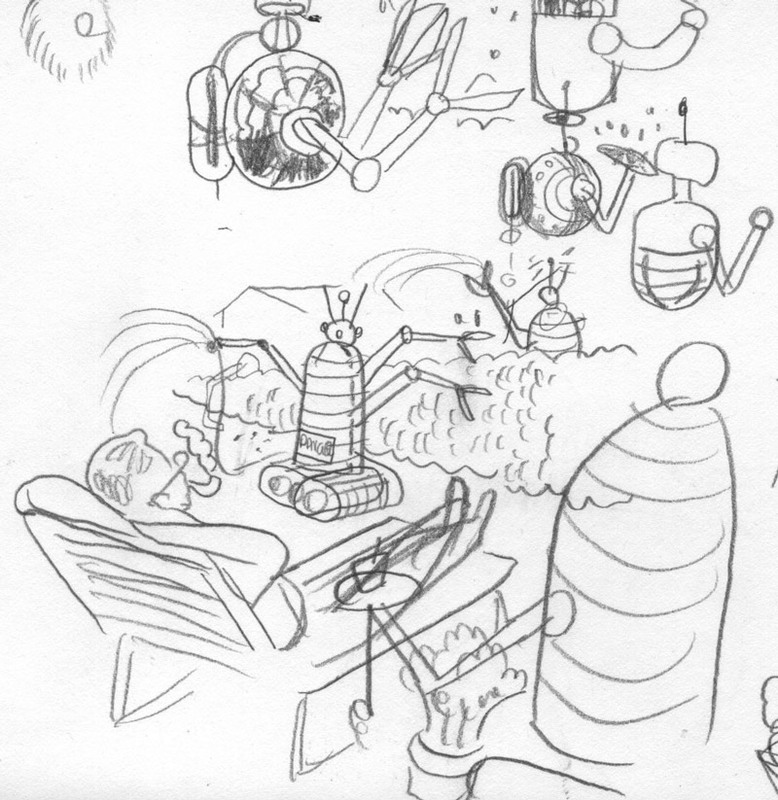 I decided that this volume is going to be the Science Fiction / Future issue. 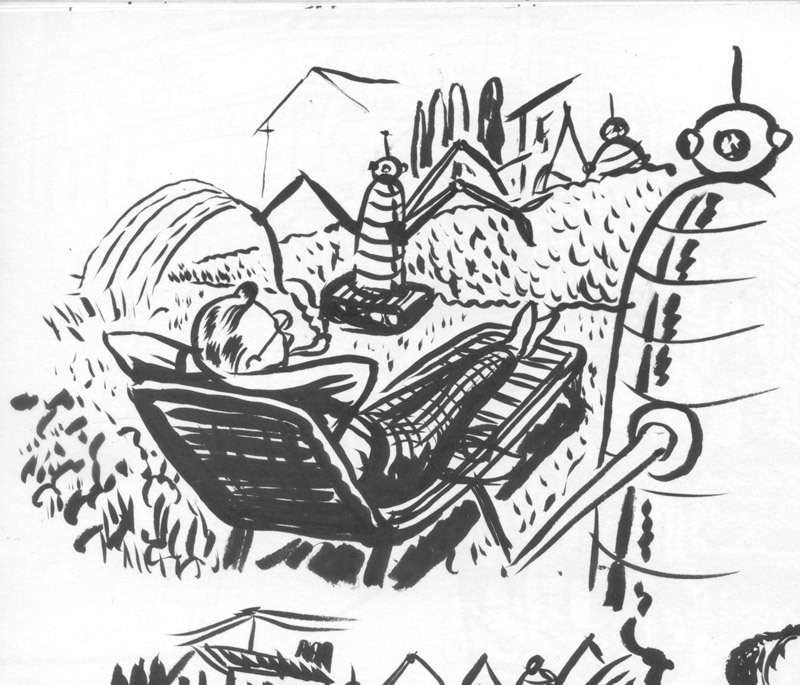 Here I will be showing you the process of how I made one of the images from GUNK Volume 2. 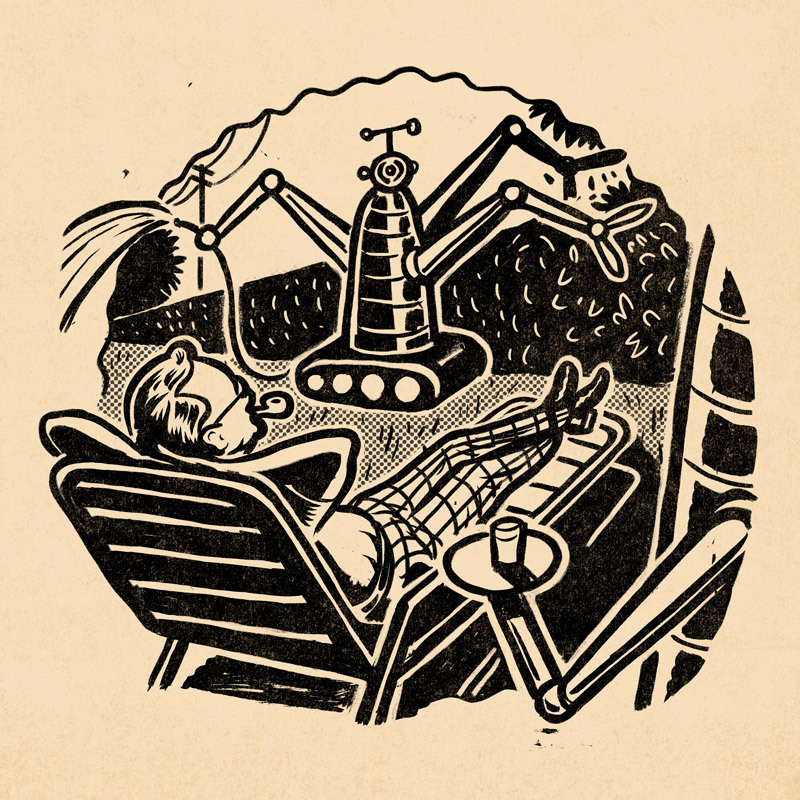 I wanted said image to look like one of those retro future illustrations where someone is relaxing in their house or yard while robots are doing all the hard work around them...you know, the future. 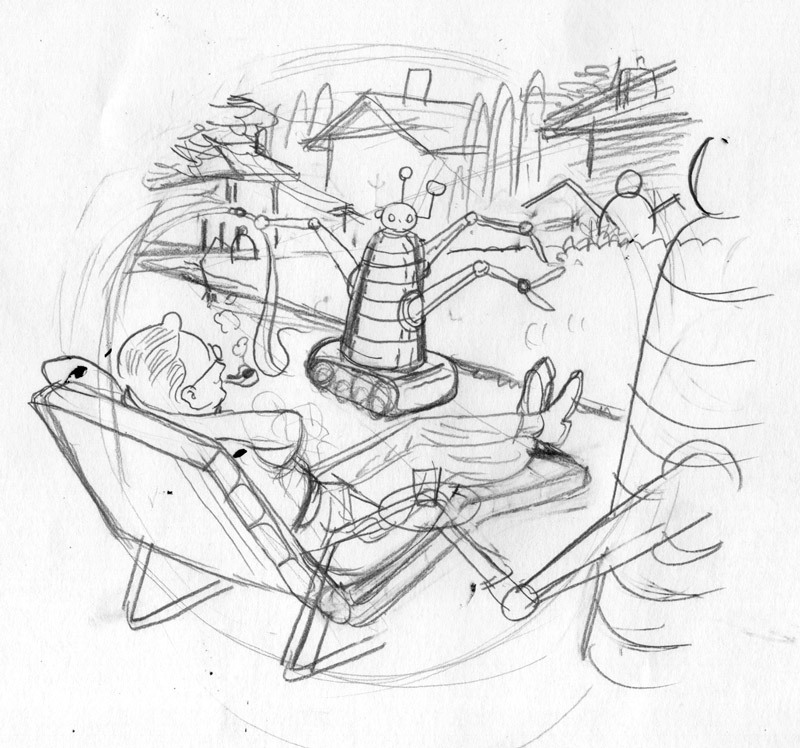 Below, you will see early sketch ideas as well and a video of my process. Enjoy! 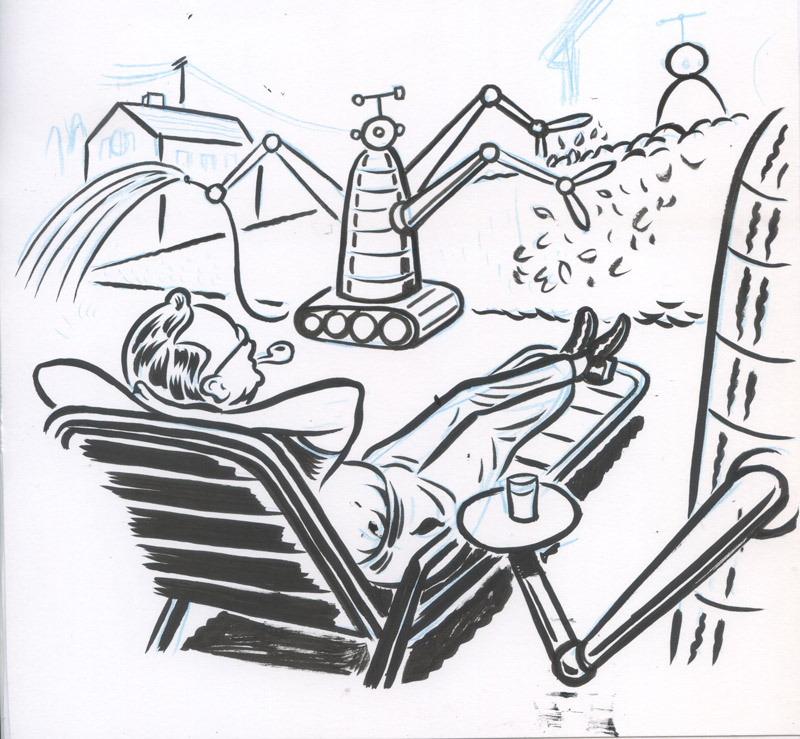 Above is the final inked image before I scanned it in and did the digital process. Below you can see the final image. Thank you for subscribing and supporting my art. I hope you are getting something of value out of this. If you have any feedback to help me make this better, more of this less of that, please let me know in the form below. Also, if you have a question about something you want to learn more about, please enter that below as well and I will try to answer it in a future issue. Or just say Hi!